We are going to turn back to a time to the 1920s there was an area of Tulsa, Oklahoma called Greenwood. It was an African-American city, more prominently known as ‘the Black Wall Street’, a mini-Beverly Hills. It was the golden door of the African American community during the early 1900s. The region might be more known for the Tulsa Race Riot. A large-scale, racially motivated conflict on May 31 and June 1, 1921, where whites (and the Ku Klux Klan) attacked the black community of Greenwood. 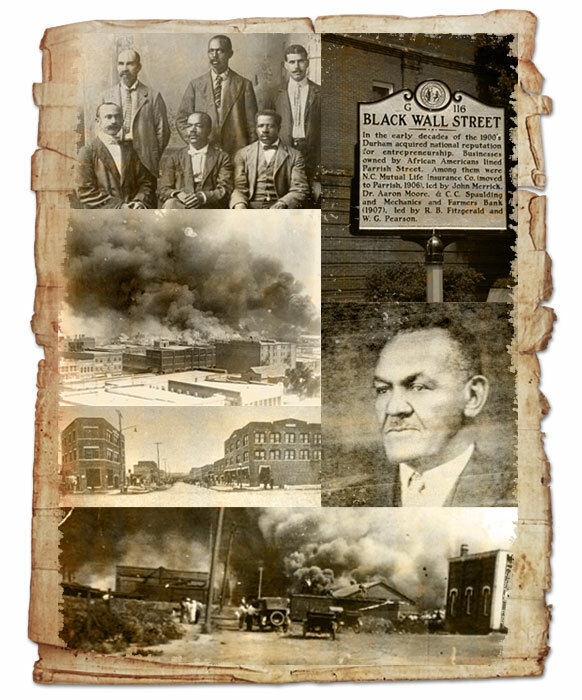 The community was the wealthiest black (African American) community in the United States, burned to the ground. From 1890s Racial segregation laws, commonly known as Jim Crow laws disallowed most blacks from voting. It wasn’t until 1916, Tulsa passed an law forbidding blacks or whites from residing on any block where 75% or more of the residents were of the other race. What started the economic independence a notable leader J. B.Stradford, arrived in Tulsa in 1899. He believed that African American people had a better chance of economic progress if they if they pooled their resources, worked together and supported each other’s businesses. He bought large pieces of real estate in the northeastern part of Tulsa, which he had subdivided and sold exclusively to other African Americans. The money in that community did not turn over three or four times, it turned over eight, nine times, ten, eleven, twelve times both legitimate and illegitimate means which fuelled the economy. Sometimes taking a year for the currency to leave the community. The rise and fall of Black Wall Street gives us an interesting lesson: there is power in economic unity. By pooling together their resources, the African American community had more economic power than the white communities around it.